VICTORIA VESNA in collaboration with Dr. ALFRED VENDL and MARTINA FRÖSCHL from the Science Visualization Lab Angewandte, University of Applied Arts, Vienna have been developing this project for the past year and now it is showing at the Queensland University of Technology in Brisbane, Australia. The work is projected on the cutting edge QT CUBE screen. 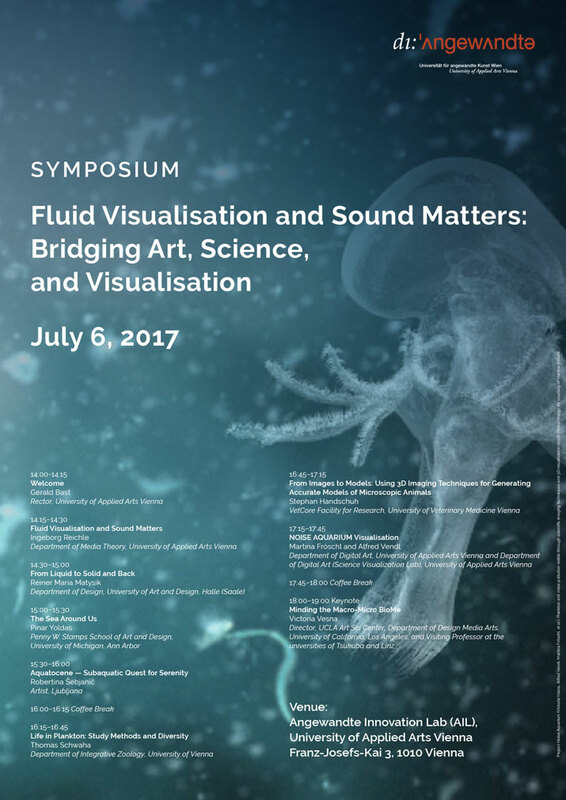 On July 6, 2017 the symposium on "Fluid Visualisation and Sound Matters“ will bring at the Angewandte Innovation Lab (AIL) together artists, scientists, and experts working in the field of scientific visualisation and visual effects to develop a cross-disciplinary understanding of how art and science contribute to raising awareness of the current massive ecological crisis of marine ecologies and identify a suitable epistemological framing for this global challenge: Overfishing, pollution, acidification, and rising temperatures due to climate change are the main factors that have been putting tremendous stress on marine ecologies for decades. 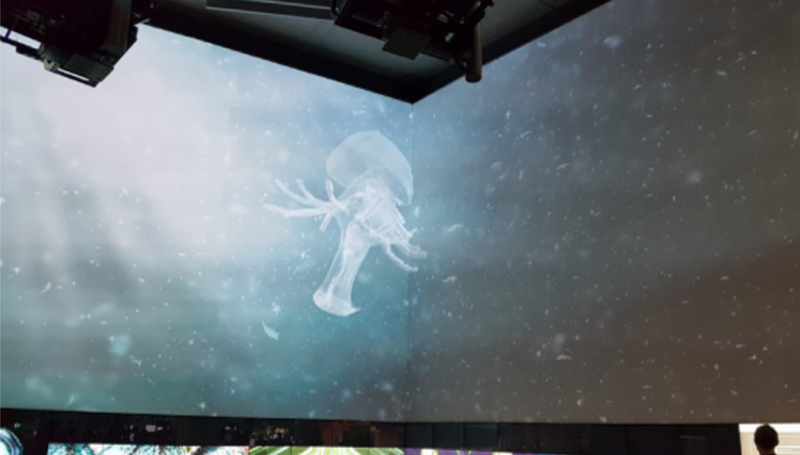 NOISE AQUARIUM Visualisation will be introduced by Martina Fröschl and Alfred Vendl and Victoria Vesna, keynote speaker, will discuss Minding the Macro-Micro BioMe.